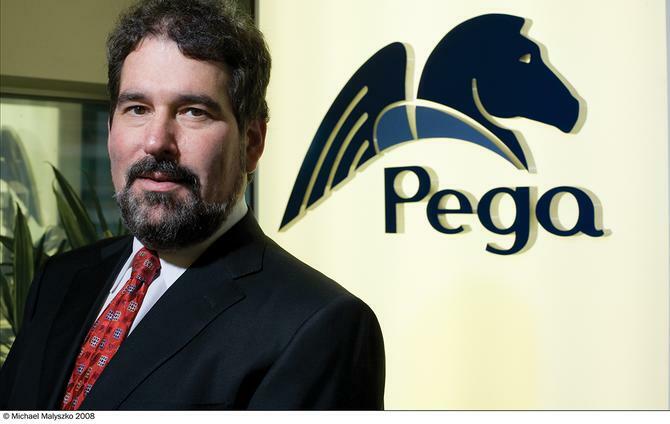 That’s the view of Alan Trefler, the CEO of customer management software vendor, Pegasystems, and author of best-selling book, Build for Change: Revolutionising customer engagement through continuous digital innovation. He caught up with CMO to discuss his views on the changing nature of customer service, and why marketing leaders must deepen their involvement in both technology and cultural change if they wish to help their company avoid the ‘customerpocalypse’ facing modern organisations. In his interview with CMO, Trefler claimed consumers are now powerful enough to “devour companies with love” or “demonise them, and actively kill those companies”. “CMOs need to be sensitive to the ramifications of not listening to the customers fully,” he said. The problem is that the entire software process “seems designed to ensure customer dissatisfaction”, he claimed. “A lot of marketers are hampered frankly by the lack of connectivity in the data they have about the customer; the insights they can get by analysing and making judgements on big data; and the ability to execute and operationalise these insights,” Trefler said. “This is because the systems are just so horrible. While agreeing organisations must embrace a holistic culture of listening and responding to customers, success and differentiation is increasingly about integrated and sophisticated technology utilisation, Trefler claimed. A key reason is that customers increasingly expect access to support and services on a self-service basis, occurring where and when they want it to. In recent years, cloud-based applications have been a way for marketers to gain the technological capabilities needed to take a more automated and also personalised approach to their customers. But Trefler claimed these have in fact exacerbated the problems CMOs now face – not least because they create data and capability silos. “SaaS apps have in some ways been an easier battle to fight, or run away from,” he said. “But that won’t work for strategic applications, such as the core of customer service; these can’t succeed in silos, they have to work across the value chain from point of inception to execution. Those systems involved in selling, onboarding and servicing clients are too critical to just confirm to what an off-the-shelf SaaS app will give you. Trefler advised marketing leaders to make sure they are a key part in how technology decisions unfold in the business. Yes, that means building better a better relationship with the CIO. “You can’t just abdicate that to the technology groups, or run away and buy SaaS systems, you need to insinuate yourself into that process,” he said. One area where Trefler has seen this occurring is in organisations trying to build a ‘mobile-first experience’. The other key to success is recognising agility is vital in matching the rapidly changing expectations of what Trefler labelled “Generation D”. “The new Generation D is quick to demonise, and there is an expectation of high responsiveness. To be successful, marketers need to ensure they are delivering connectivity with customers, simplifying experiences end-to-end, and adapting a culture that embraces change and seeks agility,” he continued. While there has been a lot of talk about marketers obtaining a 360- degree view of their customer, Trefler also suggested this isn’t adequate for building an effective customer engagement strategy. “The 360-degree view grossly misses the target and is just about the data, or who those customers are,” he claimed. “In addition, you need a second 360-degree view of why the customer comes to you and what can you do for them. And you need a third 360-degree of where, how and when those interactions occur. “This means a 1080-degree, or high definition customer service. The role of the CMO is to ensure every customer engagement – sales or service – is tied into fulfilment and end-to-end, and how all the channels of interaction work in a “coherent fashion”, Trefler said. “The key is to stop running away to SaaS apps and start doing the hard work of getting faster time to market in their business and more active and accurate engagement,” he added. Of course, leading with data-driven insights isn’t about losing creativity. According to Trefler, creativity is lost when people believe they can form conclusions on their customers’ behaviour simply by looking at data. One of the current problems with data-driven approaches is that executives are using data in the absence of applying the ‘scientific method’ to devise causality around correlations in data, he claimed. “People have fallen into the lazy trap of assuming patterns they see in the data are somehow causal,” he said. “The way you should use data is to look for correlations, and having found some interesting things, define what experiments and test those correlations to see if they are in some way causing each another. Trefler pointed to a 0.99 correlation between the per capita consumption of margarine and divorce rates in Maine in the US. “That might suggest the way to sell more margarine is to find a way to increase divorces. But in reality, it’s unlikely there’s causality there,” he said. Trefler cited GE’s ‘champion challenger’ testing program as an example of how an organisation is tapping into data in a clever and creative way. The program takes a common idea, then applies a challenging idea to a subset of the population, changing the way the offer is presented. A/B testing is then employed to show changes caused by communication. “This allows you to test that there is a result from making a certain change, while also maintaining a stable group that shows the change that has been caused by what you implemented,” Trefler said.